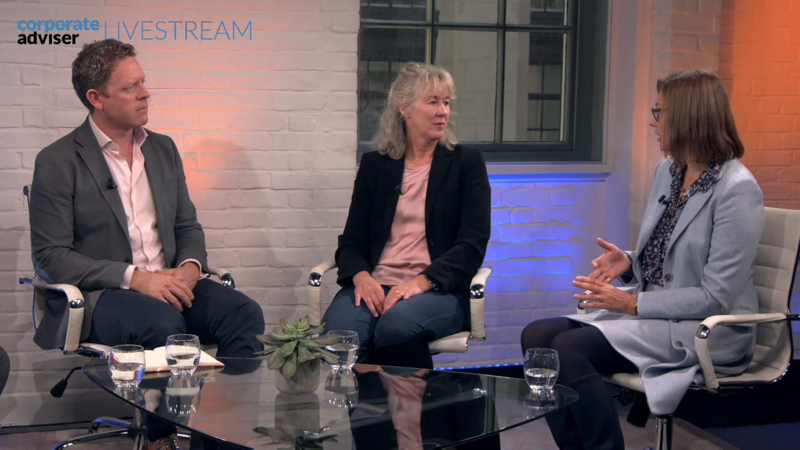 Definite Article Media, the multimedia publisher of B2B communications for the financial services sector, commissioned Loveurope and Partners (LEAP) to produce a panel discussion video for live streaming and post-event viewing on the Corporate Adviser website. Chaired by John Greenwood, editor of Corporate Adviser, the panellists included Helen Dowsey, director of employer and intermediary experience at NEST, the state pensions provider; Sam Seaton, CEO of fintech company Moneyhub and Nick McClelland of JLT Employee Benefits. We looked after the logistics of organising facilities for recording and live streaming the panel debate on behalf of Definite Article Media. Working closely with the studio team, our account manager helped to ensure that everything from the room setup through to the onscreen graphics, post-production and post-event download services would meet our client’s needs. 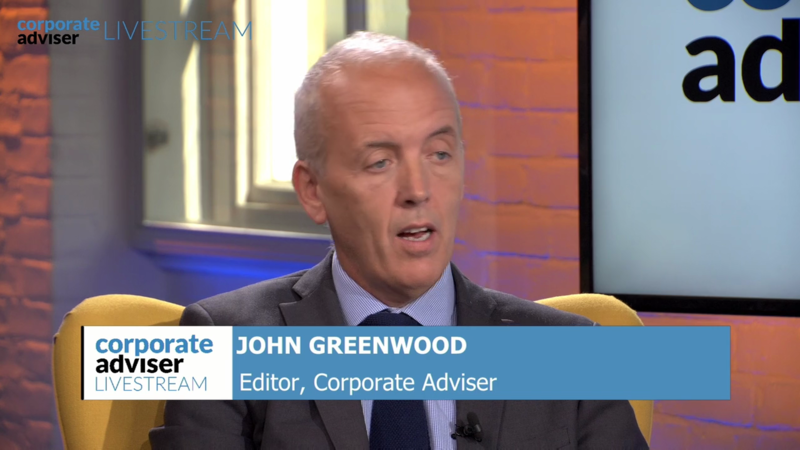 Based on questions submitted via social media, host, John Greenwood guided the flow of the discussion which took place in front of a studio audience. Throughout the half-hour session, panellists delved beyond the buzz words ‘financial wellbeing’ to share their insights about the interrelationship of savings, debts and pensions as well as the roles of employee benefits programmes, personalisation and new technology in improving outcomes for savers. There is a growing demand for intelligent, well-produced video content for online distribution. Publishers and financial institutions are increasingly keen to partner with LEAP to create materials for their own websites. Ricardo Medina, Managing Director, Definite Article Media said, Working with LEAP on our LiveStream panel discussions and editorial interviews elevated our content to a much higher level of professionalism with a world-class plug-and-play studio. It was easy to use, and our guests and clients were extremely happy with the output. We would definitely recommend LEAP to other publishers. Whether it is supporting banks and other lenders in educating potential clients about their product offerings or assisting financial service providers to attract a target audience of asset managers, LEAP are helping to produce informative content and adding value to communications in the finance community. Our ongoing work in this area further reinforces our position as the go-to integrated production services provider for businesses, publishers and other organisations operating within the financial services sector.